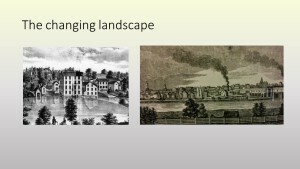 The Industrial Revolution changed both the landscape of the Lower Raritan Watershed and the character of the area’s cities and towns. These photos of New Brunswick show church steeples on the left making way for smokestacks on the right. 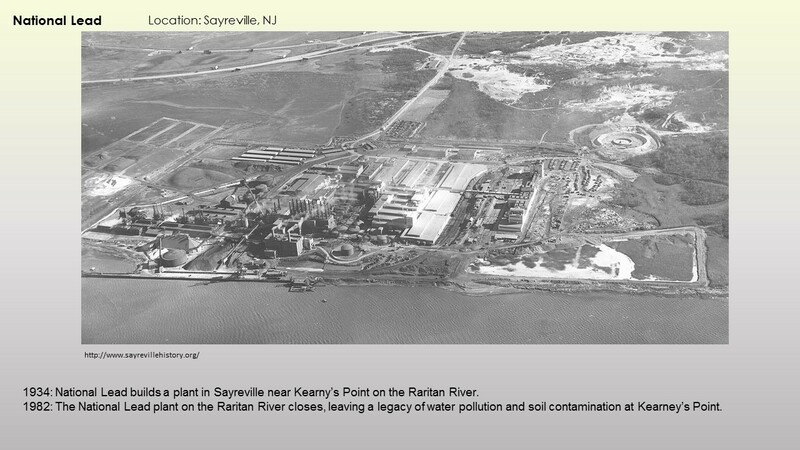 The story of Sayreville’s industrial development is emblematic of the development throughout the the Watershed. Industry, often situated directly on the River, not only determined where neighborhoods would be located, but blocked resident access to the Raritan River. This effect can still be seen throughout the watershed today. 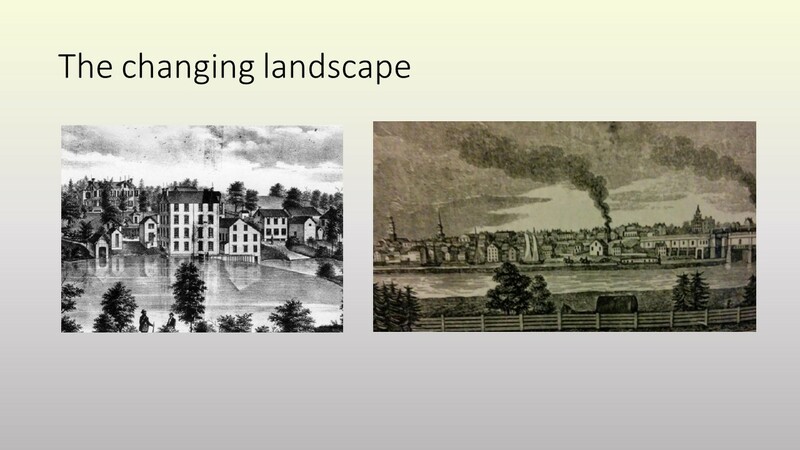 Likewise Sayreville’s early industrial development began with diversity of industry, ranging from clay, sand, & glass to munitions, chemicals and food production. 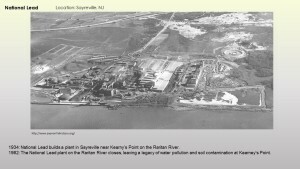 After World War II the chemical industry became the dominant employer in Sayreville, surpassing the brick and munition industry. 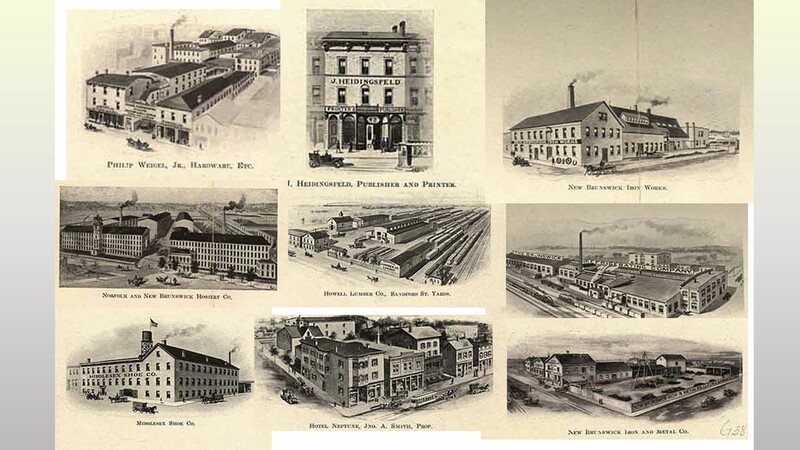 In 1910 New Brunswick was already heavily developed along the Raritan, with industry moving inland. 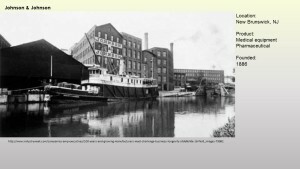 One landmark you may recognize is the Johnson and Johnson factory. 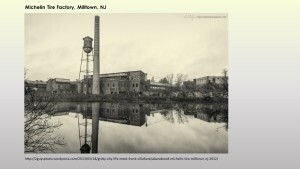 The industrial revolution shaped not only the big cities, but also the small towns like Milltown. 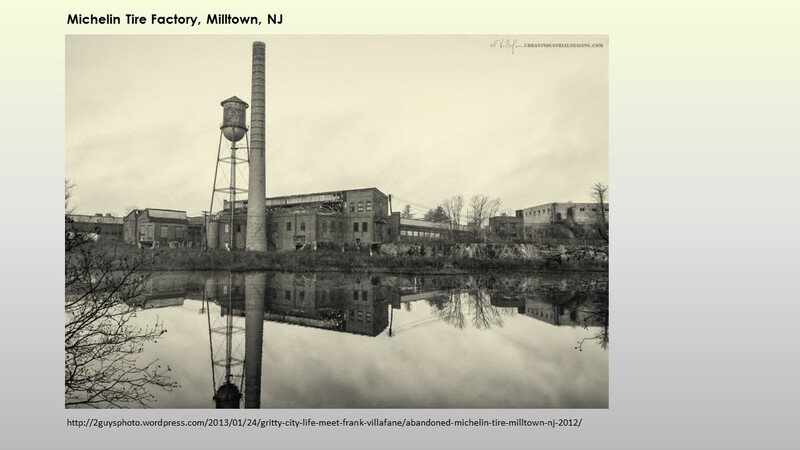 The Michelin Tire Factory located in Milltown is now designated as a superfund site. With the advent of big industry and throughout the 20th Century the Lower Raritan Watershed became very polluted very quickly. In 1922, American competitive swimmer Gertrude Ederle broke the 440 yard swimming record in New Brunswick to defeat Hilda James of England. Thousands came to watch and celebrate, but when the swimmers complained of the sour taste of the water all organized aquatic recreation was halted. Soon after in 1928 the first chemical and biological survey of the Raritan deemed the River “too dangerous to swim in from New Brunswick to Perth Amboy.” A subsequent report in 1930 published by the Port Raritan District Commission found that about 36 million gallons of sewage was being discharged into the Raritan each day. By 1997 the Raritan was ranked the 14th most polluted river in the nation.